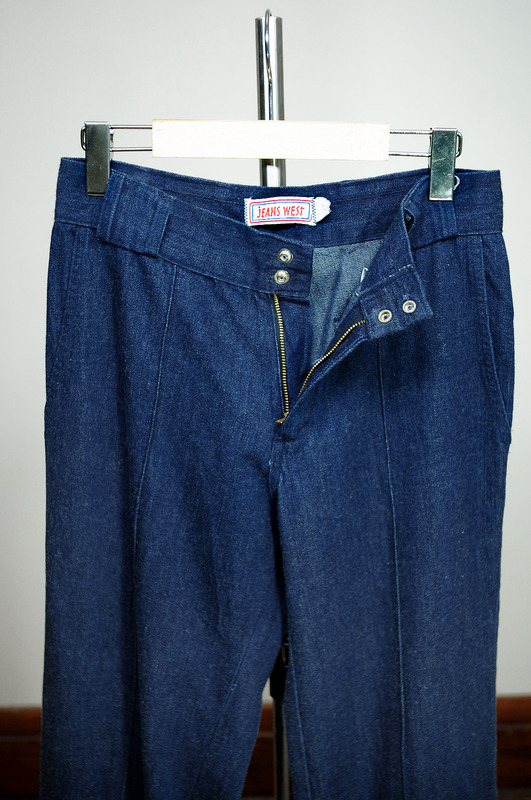 This denim bell bottom are Made in Usa. 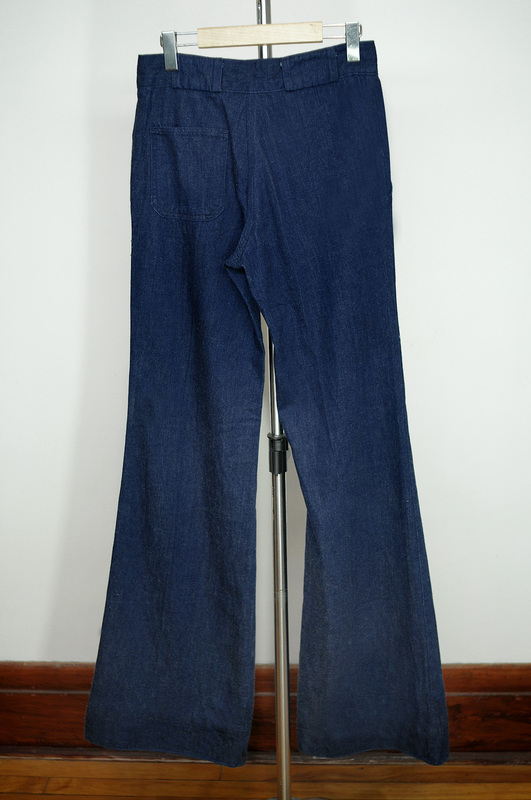 this is a low waist original 1970 bell bottom. The wide flare is 30cm at the bottom. Original setbacks pants with a middle pleat stitch. Crotch 26 cm with a 13cm zip fly. 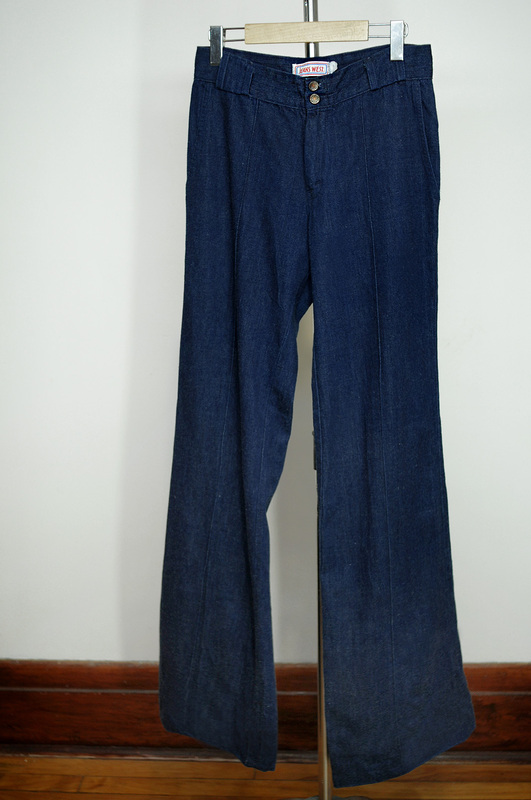 You are currently reading Denim Jean West 1970 at Philippe Urban Vintage.